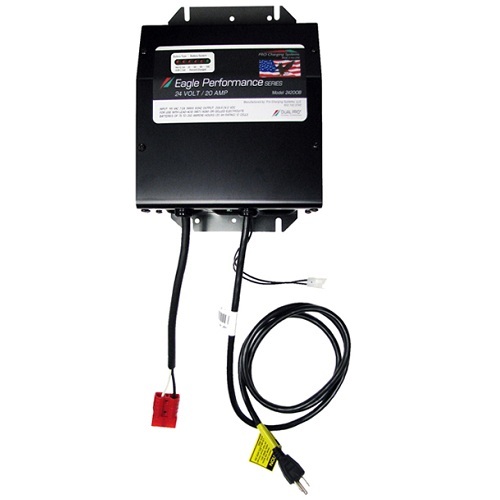 Pro Charging Systems OEM replacement battery charger i2420OBRMJLGTTB for JLG Lifts T350 and T500J with Delta-Q charger. 24 volt, 20 amp output for standard output battery charging. Specially designed to replace OEM JLG charger for industrial applications - safe, reliable, and efficient. 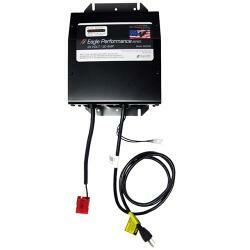 Compatible with OEM JLG Chargers for lift models T350 and T500J using Delta Q charger models 0400236 and 1001133506.